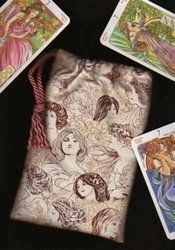 This pictorial tarot bag pays homage to motherhood with its beautifully illustrated mothers from around the world holding their children. 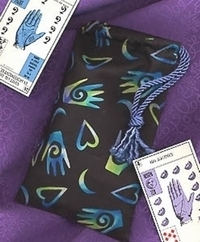 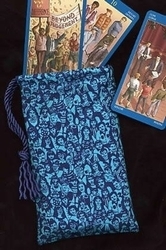 It's an ideal bag to provide a home for an culturally themed deck or a multi-cultural deck like Ancestral Path Tarot, Comparative Tarot, and Goddess Tarot. 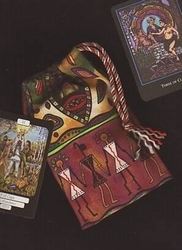 These women are all beautifully drawn and represent the concept of motherhood, nurturing, fertility, and by extension the Empress card in the Major Arcana. 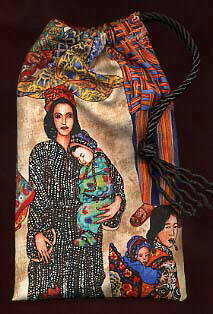 Women depicted include mothers from Asia, Africa, South America, and North America. 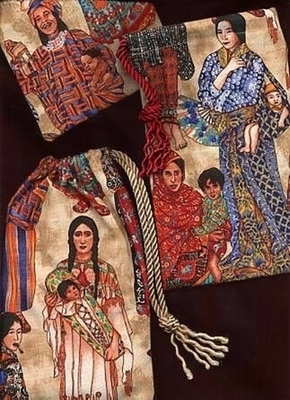 If you prefer a specific geographic region be represented on your bag, choose a "Heritage" below and we'll try to choose a bag featuring a woman and child from that region.